In the R&D laboratories of Bayer AG in Leverkusen Fluorescent Whitening Agents were invented and launched under the brand BLANKOPHOR®. The Business Unit Paper including BLANKOPHOR® Fluorescent Whitening Agents became part of the newly founded LANXESS AG. LANXESS sold the entire Business Unit Paper to the Finnish company KEMIRA. October 1, 2010 The Fluorescent Whitening Agent Business was taken over by the newly founded Blankophor GmbH & Co. KG which is part of the family owned Indulor Group. Departments that were still located in the Marie-Curie-Straße were relocated to the company premises G4 at the Chempark Leverkusen. 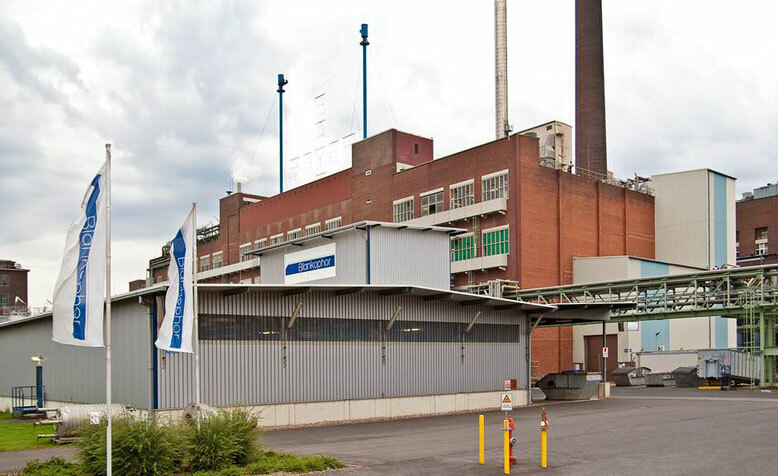 Completion of the extensive renovation investments at the Leverkusen production site.